"Higher education institutions serve educational needs best when they bring together people from different backgrounds." says Marvin Krislov. The New York Times reported that the Trump administration plans to investigate and then sue "suing universities over affirmative action admissions policies deemed to discriminate against white applicants." 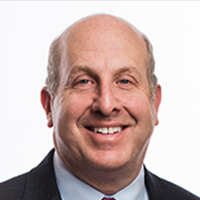 Marvin Krislov is the new president of Pace University after 10 years at Oberlin College. He was general counsel at the University of Michigan at the time of the Grutter v. Bollinger case concerning affirmative acti on. Krislov shares his thoughts on the college admissions process and the criteria for evaluating prospective students. "The Supreme Court has repeatedly made it clear that properly designed admissions policies considering many different factors in a holistic way can satisfy the U.S. Constitution," says Marvin Krislov. Creating a truly inclusive environment, in which all individuals can realize their goals and aspirations, is an imperative in contemporary higher education. "I really like to grow and change and to stretch myself," Krislov said. "And I think the common theme in the places I've been is the commitment to education as a way to improve people's lives and to make a difference." "I was really attracted to the mission of Pace in terms of supporting first-generation students, working-class students and really providing opportunities. I also like the Pace approach of linking liberal arts to experiential education, and it just seemed like a great group of people, too." Mr. Krislov said the college’s signature program, the Pace Path, which creates a tailor-made four-year growth plan for each student, reminded him of his efforts at Oberlin to help students prepare for life after graduation. Even the college’s motto — Opportunitas — resonated.